It's true that I am a confirmed dog lover, but I do like cats too. And I find it very sad when a species goes extinct. Wild jaguars are estimated to be down to less than 10,000. Tigers are in danger with less than 5,000 or so left. 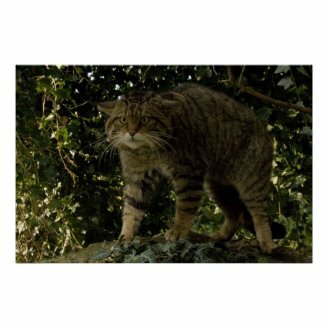 But the Scottish Wildcat is down to less than 100 in the wild and a handful in captive breeding programs. That is really on the edge. This year might be the year they become extinct. 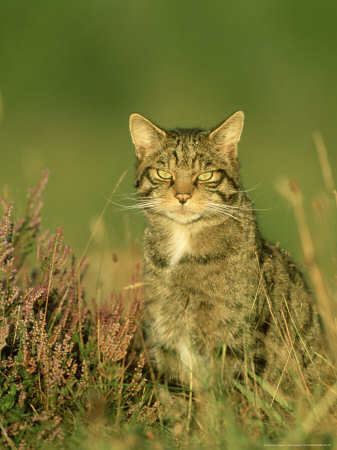 I had no idea that there was a genuine wild cat living in the Scottish Highlands until a few years ago. I read the Hamish Macbeth mysteries by M. C. Beaton, where the hero, Hamish Macbeth, had rescued one of these cats who decided to continue living with him. I'm not sure how much of that could be true. The cats have a reputation for not being tameable, even when raised from a kitten. And they have even a worse reputation in the folklore of the region. As recently as 1950 the were accused of being mankillers. They reputedly hung from tree branches by their tales and dropped on unsuspecting humans, biting them on the neck and killing them. Fortunately, this was disproved. These are not feral cats even though they are marked quite like the domestic tabby. They inhabited Britain thousands of years before humans and domestic cats ever arrived. They are related to other wild cats in Europe, Africa and Asia. They are Britain's only remaining large wild predator, having survived persecution that wiped out the wolves, British lynx and bears in that region. The cats once roamed freely over the British Isles but now are confined to the Highlands of Scotland. I always wondered how one could tell that a cat was a genuine wildcat, or Highland Tiger, as they are sometimes called, since they look very much like a beefy house cat. They are slightly larger than most domestic cats and there are certain markers that identify the real wildcat besides the fact that they are very shy, mostly nocturnal and are endowed with a serious attitude. The first clue is the markings on the tail. They have rings around their tail with a wide, black. blunt tip. There are several other distinctive markings that are illustrated and explained in the Highland Tiger Page. Male cats can weigh between 5-8 kg (11-18lb) and females at 5-7kg (11-15lb). Fossils have been found measuring in 4 feet from nose to tail and estimated to have weighed around 14 kg or 30 lbs. While they are capable of taking newborn lambs and fawns, most farmers appreciate the fact that Scottish Wildcats hunt mainly rabbits and some mice and rats. Ground birds are easy prey but apparently they don't taste all that great. The cats only hunt them when nothing else is available. Hunters who see cats as vermin have taken their toll on the wild cats often mistaking them for their feral cousins. They have suffered from loss of habitat as have many wild animals today. They die from disease. They have been hit by cars. It is estimated that 92% of cat deaths are human caused - that is from gunshot, snares and cars. But their biggest threat is interbreeding with domestic cats. Cat owners living near the wild cat's territory who let their pet cats roam outdoors are encouraged to have them spayed and neutered to prevent interbreeding with the wild cats. I discovered that I wasn't alone in being unaware of these fascinating cats. One of the biggest obstacles to preventing their extinction is lack of knowledge. 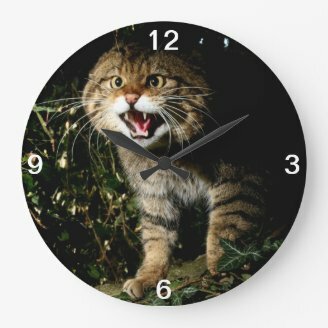 According to the Scottish Wildcat Association, only a fraction of people outside of Britain have even heard of the the Scottish Wildcat. To learn more about them visit these web sites and spread the word. They don't have much time left. You are right. It's lack of diversity that comes first. That's what worries me. If you look at domestic farm animals, many breeds are going extinct. If we get down to just a few breeds, a catastrophe such as a disease could wipe them all out. We need that diversity to keep the planet going, for domestic and wild things. We can only hope. And try to let others know about these mysterious cats. I never heard about Scottish Wildcats before. It's very sad there are only one hundred of them. Another prove how disastrous are consequences of our behavior. When we'll realize we are digging our own grave? Let's hope something really good happens to these wild cats in near future! Can't remember if I tweeted this so I do it now. again great article. We can only hope. I didn't even know they existed until a few years ago. Oh I love these cats, and folds too, I do hope the Scottish wildcats survive and thrive. 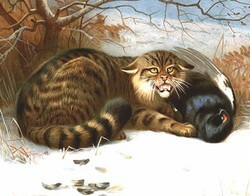 I grew up in Scotland so I knew about Scottish wildcats. When we were adopted by a tabby I said he looked just like these wildcats. I really hope they can be saved from extinction.